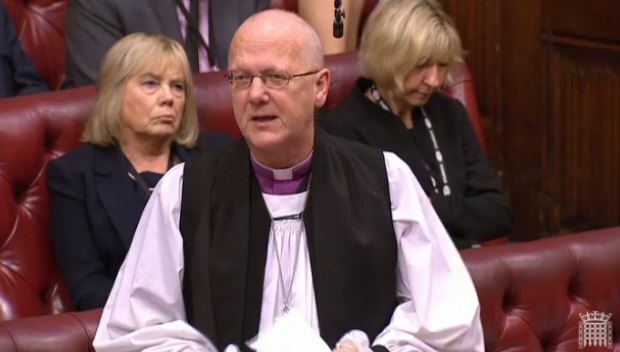 The Lord Bishop of St Albans: My Lords, my thanks go to the noble Lord, Lord Bird, for tabling this important debate and for the challenging and spirited way in which he always makes his speeches, which not only entertain but very often get to the heart of many of the crucial issues. This debate is particularly timely because of the figures recently released by the End Child Poverty Coalition, which show that child poverty levels continue to rise steeply, reaching 47% in some areas. In his maiden speech the noble Lord, Lord Bird, spoke of the need to give those in poverty a hand up and not a handout. He focused on the importance of creating opportunities, rather than dependency. This of course has been one of the great themes of his life’s work. I believe that that is a crucial message. Baroness Sherlock (Lab) [extract]: As we have heard, the context of today’s debate is that child poverty in Britain is simply far too high. Whatever measure we use—I am old-fashioned and go with the international standard of 60% of median household income—we are talking about 3.9 million children living in poverty in the UK in 2014-15, and as the right reverend Prelate the Bishop of St Albans mentioned, the figure is rising by 200,000 year on year. The Minister of State, Department for Work and Pensions (Lord Freud) (Con) [extract]: Let me pick up some of the points made today. The central point made by a number of noble Lords, not least by the noble Lord, Lord Bird, was on the importance of tackling the root causes of disadvantage and poverty and not just the symptoms. That means tackling some complex social problems and it is why we rejected the narrow, income-based approach to poverty that focused on getting families above a notional poverty line. We now have two new statutory measures that will drive real action on worklessness and educational attainment. The right reverend Prelate the Bishop of St Albans talked about the importance of educational attainment in tackling this issue. We will have other, non-statutory measures for getting at the root causes.